When expectant moms and dads are planning their child's nursery, safety is one of their main concerns. Baby cribs and baby bedding are the main components of the nursery and tend to set tone for the room. When choosing a baby crib and bedding, parents should not only focus on patterns, colors and themes but also the functionality of it. Will the crib be one that's easy to get baby in and out of? Is it convertible so it can be used for several years? Is it safe or has it been recalled? When shopping for bedding for the crib, parents need to focus on simplicity. Time and time again, there are stories about babies dying from Sudden Infant Death Syndrome (S.I.D.S.) and keeping a crib free of obstructions is one way to prevent that. There are a wide variety of cribs available to fit any style or theme. The most popular are convertible cribs that convert from a crib, to a toddler bed, to a day bed and finally to a full size bed. Typically, extra components must be purchased in order to convert the crib at an additional cost. These types of cribs are ideal for parents that want to continue to use the nursery furniture into their child's teen years. Drop-side cribs are another choice and also a less expensive option. These cribs have one side that drops down in order to convert the crib to a day bed. It also lowers slightly to make it easier for mom to reach in and get baby in and out. These are very functional cribs, however, several brands have been recalled for safety concerns. If you decide to go with a drop-side crib, research it extensively to ensure it is safe for your baby. Bassinets, co-sleepers and play yards are also options for a nursery. They are smaller in size and are mobile so the sleeping baby can sleep in the nursery alone or be moved next to mom's bed in the bedroom. Crib bedding is another choice that parents must decide on. Crib bedding sets come in a variety of fabrics, styles, patterns, themes and sizes. As with a crib, safety should be a parent's main concern in choosing the bedding. Crib bumpers are commonly a component in bedding set and one that many parents choose to use in a crib. It has been debated that they are unsafe since baby can suffocate as a result of pressing against it. It has also been argued that they protect a baby from getting her foot or legs stuck between the crib slats. 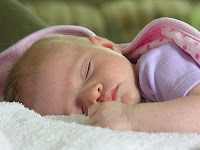 Essentially, it is at parents' discretion whether to use a crib bumper or not, depending on their individual situation. Bedding sets also come with sheets, comforters and pillows. Sheets should fit snug on the mattress in order to prevent suffocation. It is recommended that babies sleep on a sheet with nothing else in the crib for safety reasons. Comforters and pillows that come with the crib can be left in the crib when the baby is not asleep but, in order to avoid a choking hazard or suffocation, everything should be removed from inside the crib prior to putting the baby down. A crib and crib bedding are essential parts of a baby's nursery. There are endless crib styles and crib bedding choices available today. Parents can make a choice to purchase an inexpensive, functional crib if they are on a budge or a luxury crib with trendy bedding if money is no object. Regardless of the choice, parents should ensure that a baby's nursery is a place where baby can sleep, play and spend time in safely.